Today was Day #7 of Chocolate and ABC (Apple, Baobab and Cranberry) Theme Week—with a slight foreshadowing* of Chocolate and Brazil Theme Week (beginning tomorrow). 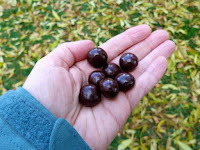 I enjoyed some dark chocolate covered "Powerberries" from Alli and Rose (Lincolnton, NC) today. The product description invited me to "taste the crunchy chia." I barely detected the chia, but the multi-berry filling had an authentic fruity flavor. 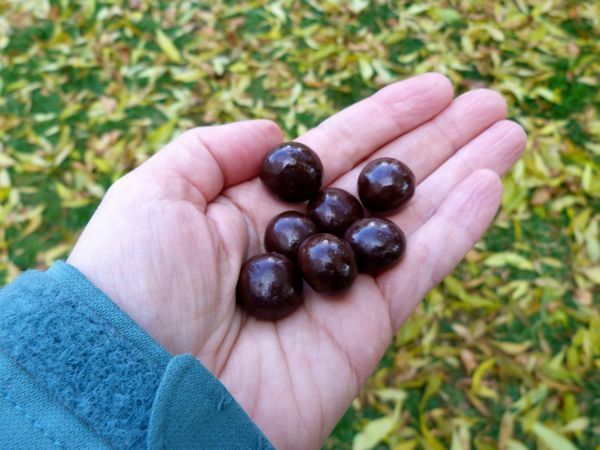 *Acai berries were one ingredient in today's chocolate; and they remind me of Brazil .... And, starting tomorrow, we're traveling (virtually) to that large South American country here on Chocolate Banquet.